A new portfolio of for-credit and non-credit offerings will develop UNC Kenan-Flagler students’ technology-based skills to continue to meet the evolving needs of employers. The University of North Carolina Kenan-Flagler Business School has announced plans to develop a broad portfolio of courses and boot camps to enhance students’ and working professionals’ technology-based skills needed by employers in today’s digital economy. The new offerings will be developed in partnership with 2U Inc., the education technology company which provides the platform that delivers classes for the UNC Kenan-Flagler online MBA and Master of Accounting programs. 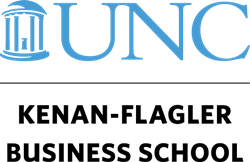 UNC Kenan-Flagler will become 2U’s first institutional partner to offer a class based on Trilogy Education coding boot camps following the completion of 2U’s recently announced acquisition of Trilogy Education. Trilogy partners with leading universities, including UNC, to offer skills-based training programs that bridge the digital skills gaps to meet employers’ needs. UNC Kenan-Flagler will integrate materials from the Python coding boot camps into a new elective in its MBA Programs, beginning with its online MBA program, MBA@UNC, in late 2019. It also will develop courses and boot camps to develop tech-based skills for its Undergraduate Business, Master of Accounting, MBA and Executive Development programs. These courses will augment its offerings in data analytics and digital leadership skills and expand to new areas such as coding, user experience and interface, and cyber security. Students and alumni will have access to existing Trilogy programs offered by UNC. Consistently ranked one of the world's best business schools, UNC Kenan-Flagler offers a broad range of programs – Undergraduate, MBA and Master of Accounting, PhD and Executive Development – and extraordinary, real-life learning experiences. Faculty demonstrate unparalleled dedication to students’ learning and a commitment to world-class research that addresses critical business challenges. Contributing to the School’s thought leadership is the Frank Hawkins Kenan Institute of Private Enterprise, which promotes innovative, market-based solutions to vital economic issues. UNC Kenan-Flagler’s collaborative culture is rooted in core values that date back to its founding in 1919, and graduates are renowned as effective, principled leaders with the technical knowledge and leadership skills to deliver results in the global business environment.